If you’re looking to update your 61-66 Ford Truck wiring, look no further than American Autowire. 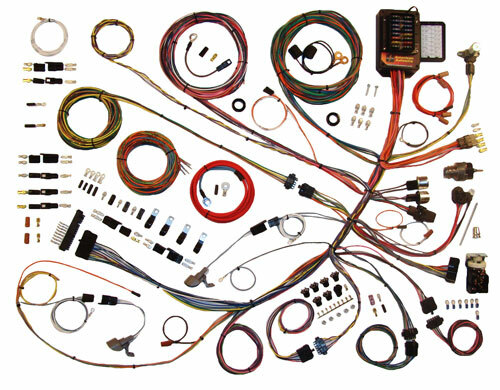 They have a wiring harness made up with just about everything you’ll need for basic wiring plus many accessories like aftermarket gauges, AC and more. The price is right at $569 at present time. Will accommodate 2 wheel or 4 wheel drive body applications. Steering column connectors can plug directly into most aftermarket steering columns or stock 1961-66 Ford columns using the adapter and terminals included in the kit.